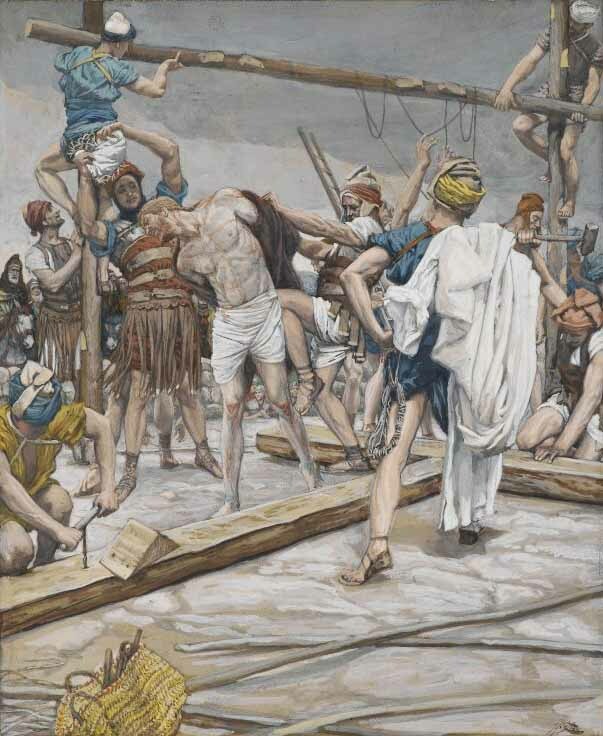 "23 When the soldiers crucified Jesus, they took his clothes, dividing them into four shares, one for each of them, with the undergarment remaining. This garment was seamless, woven in one piece from top to bottom. 24 "Let's not tear it," they said to one another. "Let's decide by lot who will get it." So this is what the soldiers did."